Found 3 file extension associations related to DesignShop and 2 file formats developed specifically for use with DesignShop. Developer / company: Melco Industries Inc. 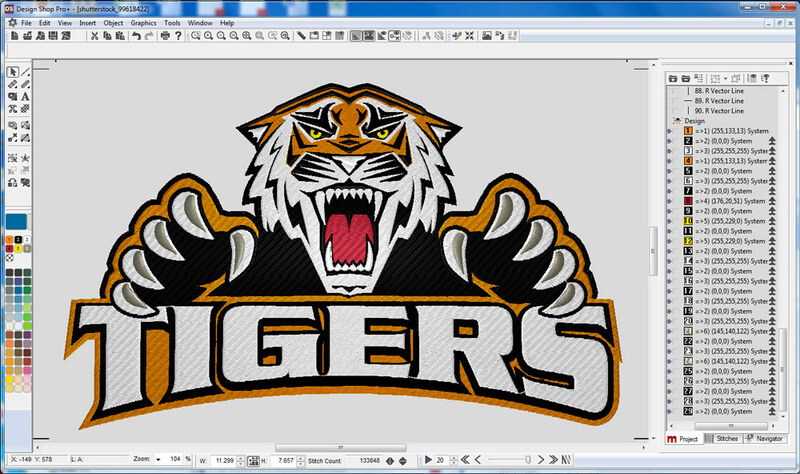 The Most Productive Embroidery Design Software Ever Made. DesignShop includes amazing industry changing digitizing and production features. New production tools include fabric profiles that allow users to save design information, such as stitch densities, to specific fabrics or apply fabric profiles to specific designs. Also, design information may now be printed with bar codes. Use a bar code reader at anytime to recall the design, eliminating the need to search for design files on hard drives or disks. Melco revolutionizes the embroidery digitizing production process with the new Melco LogoExpress feature. This feature allows a user to link directly into an online digitizing service portal with digitizing turn-around times as quickly as 24 hours. DesignShop users can opt for the LogoExpress feature during times of heavy volume. If you need more information please contact the developers of DesignShop (Melco Industries Inc.), or check out their product website.